What's the demand for local rentals? Rental demand in Burlington is quite high due to influx of college students in the area. National vacancy rates in the fourth quarter in 2013 according to the US Census Bureau were 8.2 percent for rental housing and 2.1 percent for homeowner housing. 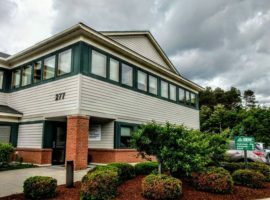 Compare that to an average vacancy rate of 1 percent to 2 percent in Burlington and you will find that many real estate investors in the area are quite happy with the strong demand for tenants. Can I pre-qualify before looking at properties? Yes. It's extremely advantageous to review financial options before entering the marketplace. Such reviews can help determine buying power and also re-assure owners that the purchaser has sufficient financial capacity to make a transaction work. Is it better to buy investment property for quick re-sale or to rent for the long term? Investment approaches differ and there's no "right" answer. What's important is to find properties that best meet your investment style and financial preferences. Our Agents can explain local demand trends and review properties, which could be good rental candidates. How do I determine how much and in what properties to invest? Decide your acceptable profit margin or cash-on-cash return for your residential real estate investment. The earnings on the cash you invest into a property upfront are referred to as your cash-on-cash return. Cash-on-cash return (CCR) is commonly used to evaluate the long-term performance of a real estate investment. The ROI (return on investment), expressed as an annual percentage, is the amount of money you receive from your investment based on the amount you invest into it. ROI describes the earning power of a real estate investment. Each investor has a comfort level of how much she wants to earn and how much she is willing to invest upfront for a property. No matter what your investment property goals are, our experienced agents can provide you with sound guidance and advice to help your transactions run smoothly and efficiently. Should first-time investors consider duplex, triplex, and four-unit-or-more properties? For first-time investors it can make great sense to buy residential properties with two-to-four units. For instance, FHA financing is available with little down for properties with two-to-four units provided that at least one unit is owner-occupied. Rental income can then be used to help repay the loan. Triple Net or NNN is another industry buzz word that gets thrown around by commercial real estate professionals all the time. You might see an advertisement that says the rent is $8/SF NNN or $20/SF plus NNN. NNN is most easily understood by thinking of three net expenses that a commercial property has. One net expense is real estate tax, another is real estate insurance, and the 3rd is the CAM or Common Area Maintenance. When you add all three expenses together you get the NNN expense, and it is usually quoted on a per SF basis. So, if the rent is $8/SF NNN, that really means it is $8/SF plus the Triple Net expense. The next question to ask is usually, “Do you have an estimated NNN expense per SF?” Be careful because sometimes people will interchange NNN with CAM. It can get confusing so it is always a good idea to ask for clarification. By the way, sometimes you can see single net or double net advertisements or deals as well. A gross lease is a way for a landlord to offer a rent amount that includes certain expenses. NNN expenses are typically included in gross leases and sometimes you will see utilities included, as well. It can be a risky proposition for a landlord, but it will tend to attract tenants who are afraid of variable costs/expenses. It is always a good idea to ask what is included in the gross lease, so you can see if the deal is, in fact, a good one. Sometimes a landlord can inflate their costs and gross rent to make it appear like a good deal when, in fact, if you remove the expenses, you are paying above market rent. Percentage leases are not too common. It generally refers to a percentage of a tenants gross sales before taxes. 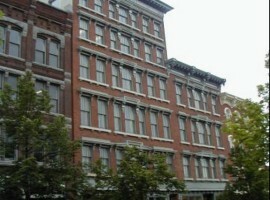 The reasoning behind a percentage rent deal can be two fold: one reason is to give a tenant a fair rent during the ramp up period where sales may be a little slow (in the first year or so), and another reason is to participate in the success of the tenant by getting a percentage of the sales over time as sales grow and inflation grows. 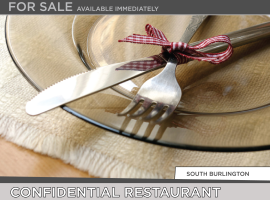 It is most common to see these types of rents for restaurants and shopping centers/malls. Sometimes you will see a base rent and then a percentage rent on top of it. These types of leases can be a great way to keep both parties working together for a common goal. If a restaurant or business is profitable at 7% rent, why should it worry if it does $500,000 sales or $5 million in sales right? And if a landlord can also advertise or make improvements to the property to influence sales positively, why should only the tenant benefit?